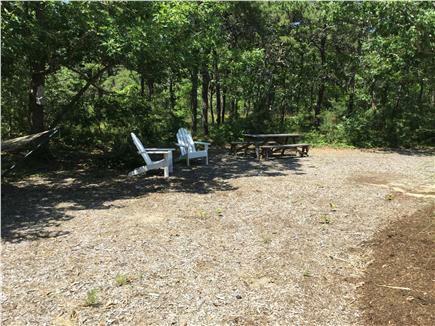 Beach: Approximately 2 miles to Corn Hill Beach. 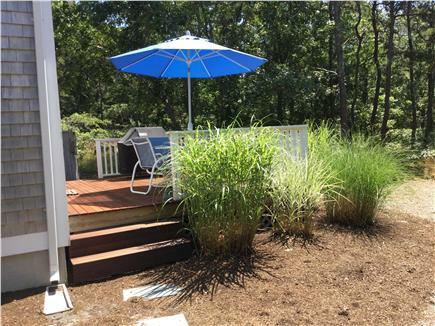 This contemporary Cape is at the end of a cul-de-sac on over an acre of private wooded land in a lovely residential neighborhood and is a 5-8 minute drive to some of Cape Cod's most beautiful beaches such as Long Nook, Ballston, Coast Guard and Corn Hill beaches. 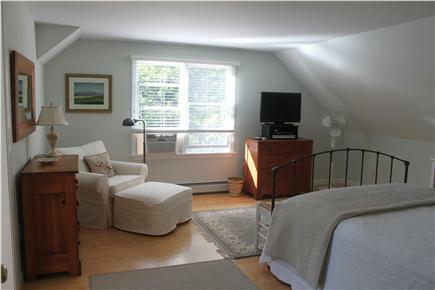 The house is bright and sunny with pine floors, comfortable furniture, antiques and Cape Cod art. There are 3 bedrooms, 2 full baths (one with skylight), open dining/living room and a fully equipped kitchen with island. 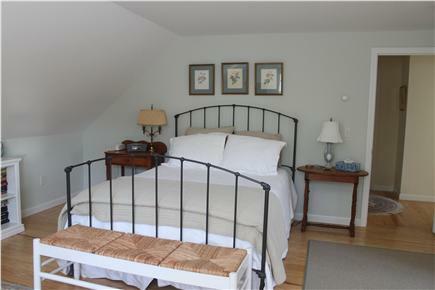 The upstairs master bedroom has a separate dressing/office area and walk-in closet. 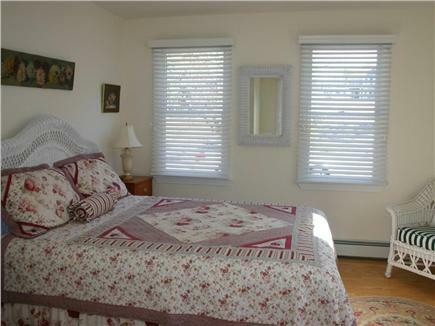 Quality mattresses, bedding and AC units in all bedrooms. Bose Stereo, HD Smart TV with premium digital cable channels in living room, HD TV in MBR and wireless high speed internet. Sliders in the dining room lead to outside deck with a Weber gas grill, dining table with umbrella and a view of the surrounding woods - a great place to enjoy the sunsets. 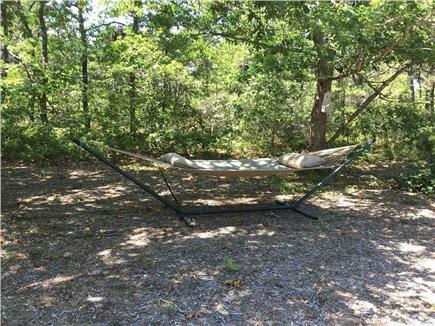 An outdoor shower, picnic table, round tree bench under an old oak tree and a hammock are all here for your vacation pleasure. The house is also stocked with books, games, beach chairs, umbrellas, toys and coolers to lighten your load when packing. 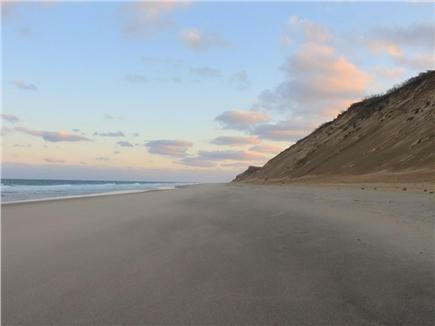 Nearest beach: Approximately 2 miles to Corn Hill Beach. Additional pricing info: Call for special pricing of off-season weeks. State and local taxes of 12.45% will apply. Denise went out of her way to make us feel welcome. My family and I had a wonderful time staying at her home. Her house is very clean, no pets, no smoke, no mold or mildew. This is important to us because of serious allergies. Her home not only met but exceeded our expectations. She had coolers, beach chairs, beach umbrellas, beach toys available for use and all were in excellent condition. It's obvious she takes pride in her home and wants the renters to enjoy their vacation to the fullest. Just returned from our week on the Cape. This rental is a must!! We found the home to be impeccable. Every amenity you could possibly need was present (i.e. from kitchen gadgets and equipment, BBQ grill, hammock to relax in, books and games for a rainy day). The house was located on a cul de sac in the woods which is great if you have kids. The location in Truro was ideal. 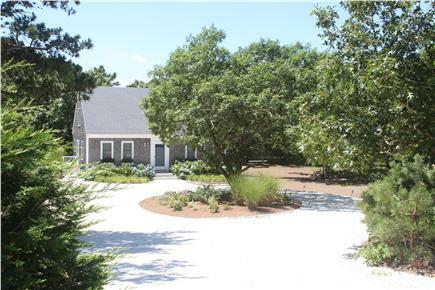 Away from the hustle and bustle of the Hyannis area and close to the artsy Provincetown and infamous Cape Cod National Seashore. The photos of this house do not do it justice. It is beautifully furnished, great art, all amenities and everything a family could wish for..wonderful books, both adult and children, great kids tapes, beach chairs, and sand toys. It is near all beaches and in a great neighborhood. We will be back next year! My family has rented this property three times over the past four years. The house is new, well stocked and in excellent condition. The furniture is comfortable and well maintained. And it's a short drive to some of the prettiest beaches on Cape Cod. 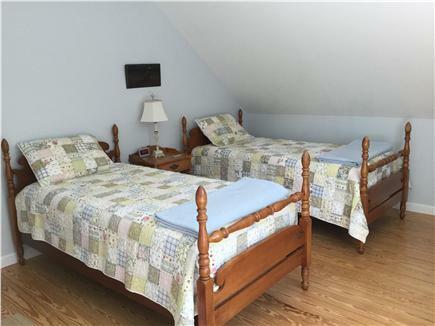 If you are looking to stay in Truro, this home is an excellent choice.